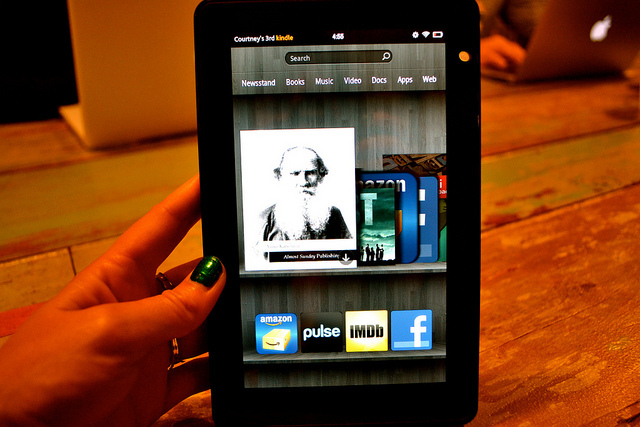 Amazon’s range of e-readers and tablets continued to help boost the company’s revenues over Thanksgiving after the world’s largest retailer announced that its new Kindle Fire tablet was the top-selling product across Amazon.com on Black Friday. Sales of the Android-powered tablet quadrupled sales of Amazon’s Kindle Family compared to the same period last year, despite only being on sale for 8 weeks. “This was a great Black Friday for Target and for Kindle Fire, which was the bestselling tablet in our stores on Black Friday. With Amazon offering its huge catalog of electronic books for owners of its Kindle e-readers and a vast array of music, movies and apps for owners of its Kindle Fire tablet at loss-leading prices, consumers have snapped up Kindles at an extraordinary rate. Sales of Amazon’s Kindle range are only set to increase as Christmas approaches, helping establish the company as a leading device maker, not just a content provider.